On behalf of the Steering Group representing the two Synods of the Methodist Church in Wales and the British Methodist Connexion, we would like to express our thanks to all our Circuits, Areas, churches and members who engaged in the consultation process regarding the document Towards a New Synod of the Methodist Church in Wales. This consultation process took place between September –November 2018, and the attached paper gives a summary of the feedback received. The consultation was a very important step in the overall discernment process for a way forward. The Steering Group met on 14th December 2018 to consider the feedback and what was being said through it. It was noted that while there was broad support for the proposals in principle, there remained many questions about the details. It was also agreed that while the feedback raised a lot of important questions and made a number of valid points, these did not present an argument for not continuing with the process overall. The Steering Group was grateful for this cautious but positive affirmation of the conversations that are taking place. Consideration is being given to the timetable for the ongoing process in order to ensure that the concerns and questions raised within the feedback are properly taken into account. Further work in response to the feedback will be carried out as the conversations progress. The Steering Group meets again on 22nd January 2019, and the Methodist Council will receive a report on the consultation process, as approved by its Scrutiny Group, when it meets on 30th and 31st January. Once again, many thanks for all your responses to the call for feedback. Please do not hesitate to contact either of us or any member of the Steering Group as we continue to work and pray together. Written responses were received from 10 out of the 11 Areas, all of which held discussions in Area Meeting or in an extra meeting. An informal verbal response was received from an Area Steward of the remaining Area. A small number of written responses were received from churches and individuals (largely expressing opposition). Replies were received mainly from Wales Circuits (15 circuits replied). Some churches and individual members of the Methodist Church also responded. Question 1 – Do you support the proposal that the two Districts of the Methodist Church in Wales should work towards coming together to form one new District? 9 Areas were broadly supportive of this; 1 was divided; 1 was strongly against. Overall, there is a desire for more information in general, especially for reassurance regarding the place of the Welsh language, the financial arrangements and representation to councils, Synod, committees. Concern was expressed regarding lack of information re: numbers of churches/members – it was felt desirable to get a better feel of the situation. Wales is too big for one Synod – two Districts proposed, both bilingual. Our Circuit was very divided with no overall support for or against. Question 2–If so, do you support the proposal that a new District should be known as Synod Cymru Wales? 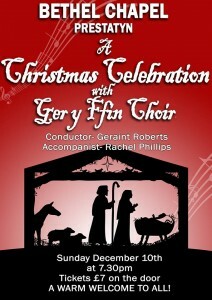 3 Areas supported this; 6 expressed no opinion; 2 proposed the name ‘Synod Cymru’. It was pointed out that the word ‘Synod’ is used in both languages (unlike ‘District’/’Talaith’), although the name ‘TalaithCymru/Wales District’ was also suggested. 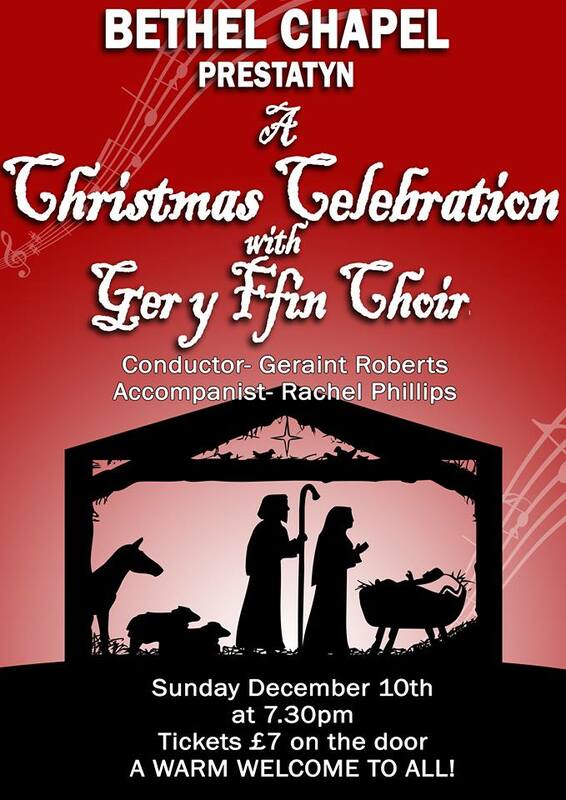 The name ‘Yr Eglwys Fethodistaidd yng Nghymru/The Methodist Church in Wales’ was suggested. It was noted that Synod Cymru Wales involves repeating the same name: Synod Cymru can be readily understood, and many bilingual institutions in Wales carry a name in Welsh only. What is the legal requirement for the name regarding order of Welsh/English? Cymru Wales Synod makes no sense. Should Synod Cymru become part of Wales Synod? What’s wrong with District and why have we become obsessed with Synod – it confuses the ‘body’ and the ‘meeting’. Question 3 – Do you support the proposal that a new District would comprise the current 16 Circuits in the two Synods, one of which would be a Cymru Circuit with a Welsh-speaking identity, mission and ministry? 7 Areas broadly supported this; 1 was strongly against; 2 expressed concern for being in the minority at Synod level; 1 said all circuits should be bilingual. The responses were very mixed, with a strong level of concern for the Cymru Circuit being in the minority. 15 bilingual Circuits would be preferred. Would need to reinstate the role of Assistant Chairs into the model. Question 4 – Do you support the proposal that a new District would be led by two co-Chairs (one residing in the north of Wales and the other in the south of Wales), at least one of whom would be bilingual in Welsh and English (or committed to learning the Welsh language)? 4 Areas said at least one Chair should be fluent in Welsh from the start; 3 said both should be fluent; 2 expressed no particular response; 2 were broadly supportive. Anxiety about possibly limiting the pond where co-chairs could be drawn from – language requirements. The co-chair model did not work when Wales Synod formed so why now? Will the funding for two co-chairs remain? How secure is it? If only one Chair at some time in the future, that person would have to be bilingual – the available field would be very small. Who would deal with any significant issue if no lead Chair? A better model would be one Chair and one Vice Chair – with the roles alternating yearly. One Chair, two Deputies one in the north and one in the south. There’s no mention of ecumenism in the discussion paper. The new Synod would need a Welsh-speaking Ecumenical Officer to relate to the Welsh-language denominations. It’s essential to safeguard and respect the Welsh language. We need to remember we’re already in relationship as the Methodist Church in Wales, with two Synods. The proposal offers the possibility of raising awareness of the Welsh language/Wales as a bilingual nation among Wales Synod members. There are potential mission opportunities. There’s no reason why existing local ecumenical relationships shouldn’t continue. It’s God’s church, not ours! Concern was widely expressed about the possible financial implications, especially any rise in the assessment. There is the need for a solid language policy – absolutely essential. There must be total commitment to bilingualism and to the Welsh language, which must continue to be the language of the Cymru Circuit. Some shared positive experiences of bilingual worship – and others, negative! There are possible positive practical implications – no duplication of some meetings; the recognition of Welsh speakers in Wales Synod churches; opportunities for bilingual worship. It’s a way of continuing the Welsh-language work after we’re gone! There was a very real anxiety/fear of being swallowed up/dominated by the English-language circuits in the Synod, being just one of 16. There needs to be simultaneous translation for meetings. There’s strength in unity; we’re stronger together. Synod money must be available to support the Cymru Circuit, as it is at present. This presents the opportunity to rethink/rework how the Cymru Circuit assessment is set; it offers the possibility of moving from per member to a church by church basis. The language policy must be to the standards adopted by the Welsh Language Commissioner. A few thought the discussion document to be complicated and too much work to read. This kind of arrangement already works well with the PCW/EBC. People should have the right to worship in their own language. Concern about travel in an all Wales Synod. The outcome for mission in the integrated Wales Synod was not very effective – should this move go ahead, there needs to be a better outcome. Major concern about bilingual printing costs. A strong dislike regarding the use of headphones to cope with translation. How do people with hearing aids manage with headphones? Staffing power of Chairs in moving people within a district – might be greater in an integrated District. What are the advantages of a new Synod? Would there be a need for a bilingual hymn book and service book? Having co-Chair would be a good model. A new Synod would create a good base for the voice of Methodism in Wales. Bilingual Synod meetings would be difficult and attendance could well decrease due to the need for headphones to be used. What would be the implications for Synod, Circuits and individual churches? Not a good questionnaire – written so that there are positive responses for agreement to the proposal. Time scale for responses too short for proper consultation. Not enough information about the implications to make informed decisions. Before any formal decision made, Circuits must be provided with much more detailed information and this will no doubt require the timescale to be extended. Information received suggests only impact of the new Synod would beat the ‘top’ level. The split of power looks imbalanced – suggesting a 50-50 split when perhaps due to membership, it should be 94-6. What effect will it have on staff coming from outside Wales? A difficult task at present and would this proposed model make it worse? Not clear on how the work load of the two Chairs would be split. Is the proposal going to keep a number of very small churches open for a little longer? We can cooperate together without joining. Working as one Synod will open up new opportunities for work across Circuit borders and between traditionally English work and traditionally Welsh work. There needs to be care not to create two Synods – each led by a co-chair. Both Chairs would need to be involved in the stationing process. Concern was not just expressed about language, but also about culture and ‘rootedness’ in Welsh culture. Missional aspects must guide the discussions of the matter of structure in the detail. The meeting in our Circuit attracted only 9 people. 33 people attended our meeting – the informal vote overwhelmingly supported the proposals, with only a few not voting and one voting against. There needs to be a local vision for the future – very important to maximise the single Synod in a local geographical area. Concern about being able to attract ministers to Wales. How can predominantly English speaking areas encourage the use of the Welsh language? There is a need for more bilingual resources. In the north, creates the opportunity for LPs and WLs from both Welsh and English speaking churches to support each other. Important that the single Synod proposal document be put together in such a way as to reflect views that development of mission in a multi-language environment will be an evolving process and we need to follow God’s lead. There is a hope that soon we will see a need for some Circuits in different parts of Wales to integrate and work bilingually. Over the last four years the churches and areas of Synod Cymru have been following the Developing Our Calling programme focusing on each of the four main themes in turn. Following the review of this programme, the Synod Cymru meeting in April came to the conclusion that it was good to follow such a programme and it was decided to hold a new programme beginning in September 2018, focusing on the six main themes which arose in the review on the life and work of Synod Cymru and Cylchdaith Cymru (Cymru Circuit) starting with Spiritual Life. Churches and areas are encouraged to consider and discuss what is meant by spiritual life and that people contemplate and pray about their experience of God. Consider the importance of thanksgiving and every day wonder and that God is there 24/7. Reflect on the idea of waiting for God and the Holy Spirit in our day to day experience. Personal meditation/prayer at the start and end of each day is encouraged. Deled dy deyrnas / Thy Kingdom come www.methodist.org.uk/our-faith/prayer/thy-kingdom-come prayer movement with an emphasis on prayer between Ascension and Pentecost. 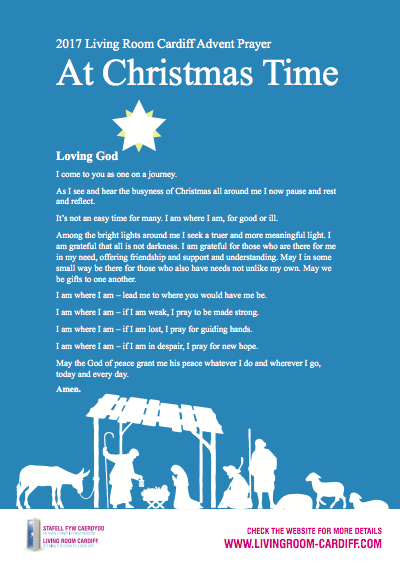 Prayer resources for families available in Welsh and a translation of the booklet Nine Days of Prayer Waiting in Wonder. Restore/initiate the concept of the ‘class’ and develop ‘class’ leaders, pastoral convener. The advantages would include discipleship, a sense of belonging, pastoral care, continuing Methodist tradition. Creating opportunities to have fellowship, e.g. weekly coffee, knitting club (or other interests) community lunch, book club, special celebrations, tea party, trip, walking, picnic, barbeque, meal, concert, ceilidh, stalls and sales. Waiting for the Holy Spirit. Rejoicing. Sense of God’s presence. Using the Lectionary to ensure attention and emphasis is given to the Christian festivals. ROOTS Learning and worship resources for the whole church with a focus each week on one of the lectionary readings with ideas for sermon preparation, all age worship, Sunday school and Bible study. 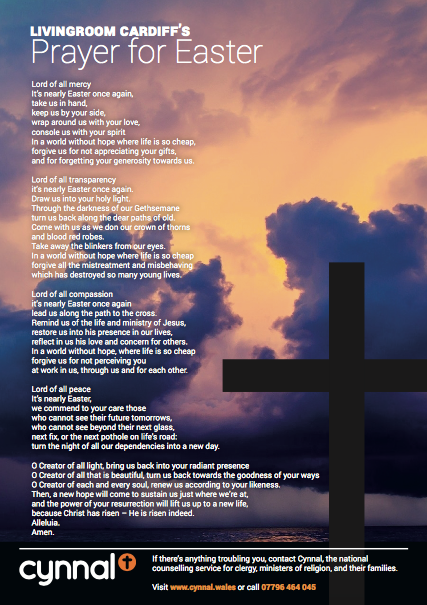 Includes a variety of Welsh prayers for different parts of the worship and activity sheets in Welsh for children. Seeing ourselves as part of a wider community and the importance of the way we behave. Being aware of the things around us, being alert to the needs of people around us. Taking the opportunity to build relationships with people we come across every day. ‘We are the Bible that people outside the church read’. Proposal: that the two districts of The Methodist Church in Wales (Synod Cymru and the Wales Synod) work towards coming together to form one new district to be known as the Cymru Wales Synod, with the intention of providing greater coherence to the work of Methodism in Wales and the ability to respond more creatively to mission opportunities in both languages. The initiative for this process came from the Synod Cymru Policy Committee meeting of November 2017, following prayerful consideration of the outcome of the Cymru Synod/Circuit Review of 2016-17. The sharing of resources and skills as the Methodist people in Wales has a strong missional imperative. At present, there are regions where only Welsh language Methodism exists; regions where there is only English language work; regions where there is a strong degree of overlap and regions where there is no Methodist presence at all. Neither Synod is lacking in financial reserves. Nevertheless, the intention to work together for the sake of the gospel, particularly in those regions in need of encouragement or new initiatives, represents good stewardship. In both Synods, there is a proportion of members whose first language is other than the professed language of the Synod: a Synod ministering in both languages would have value for them. Similarly, Welsh learners are found in the ministry and membership of both Synods, and as the learner community grows, so will opportunities to serve and minister to this group. The witness of a single Synod of the Methodist Church in Wales has the potential to demonstrate the all-embracing, unifying love of God in Christ and to offer a message of hope to a society that is sometimes divided. To this end, we are invited to enter into a prayerful process of consultation and consideration. A Synod Office and Administrator in south Wales, supported in the provision of Welsh-language material by the Cymru Circuit Office and Administrator, located in the north. A Synod web-site with material and information available in Welsh and English. Recognising the increasingly bilingual context, the development of a Welsh language policy which would address matters such as the need for all decision-making bodies of the Synod (eg Synod and SPC) to work and communicate bi-lingually supported by simultaneous translation; for committees engaging in ministry (eg Candidates and Probationers) to reflect the language of those involved; and for committees engaging in specialist matters (eg Property and Safeguarding) to use primarily the language enabling that specialist contribution to be made most effectively. Money, which was not raised in the initial conversations and outline proposals because it was not a driving force behind the conversations. However, the Steering Group recognises that finance is an important issue, and so offers some initial thoughts now. In light of this, initially, the intention is for the working of the new Synod to be cost neutral in terms of revenue expenditure and assessment from circuits with any increase in operational costs being met from the substantial and enlarged capital reserves held by the new Synod. However, it should be noted that work will need to be undertaken on the overall grants policy of the new Synod, working on the basis that the maintenance and development of mission and ministry in the Welsh language is one of the key drivers in the life of the new Synod. It will also be important, in the light of experience gained from the recent coming together of circuits, that the new Synod moves towards a common system for budgeting and allocation of circuit assessments as soon as is practically possible. Note – The Steering Group will continue to meet throughout this period to both reflect on the feedback arising from the consultation and to address the further work outlined in the paper in light of that. 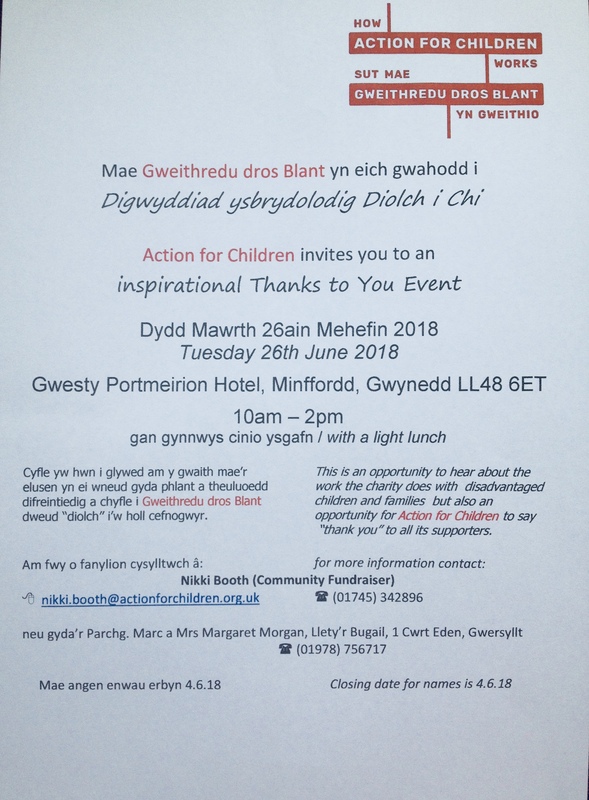 Action for Children would like to invite you to an inspirational thanks to you event. At Portmeirion Hotel, 26th June, 10am-2pm. Development of a Welsh language policy which would address matters such as the need for all decision-making bodies of the Synod (eg Synod and SPC) to work and communicate bi-lingually supported by simultaneous translation; for committees engaging in ministry (eg Candidates and Probationers) to reflect the language of those involved; and for committees engaging in specialist matters (eg Property and Safeguarding) to use primarily the language enabling that specialist contribution to be made most effectively. Indicate the conversations that are underway, appoint scrutiny group who will, in due course, check that the feedback from the circuits is fairly represented in the report to the April Synods. In their meeting in July 2017, the Cymru Synod Policy Committee asked the members of the Synod Executive Committee to come back to them in their next meeting in November with a proposal for a way forward in response to the process of Reviewing the Life of the Cymru Synod and Circuit. This was because of the insufficient response to the decision of the Synod meeting in April 2017 to create six small groups to work on the themes that arose from the consultation process as part of the review, and because of the failure of the Policy Committee to form a response itself to the situation in its meeting in July. Option 1: In light of the response that came out of the review of the life of the Cymru Synod and Circuit, the Synod Cymru Policy Committee proposes that we give serious consideration to bringing the Synod to an end, and that we discuss with the Wales Synod the possibility of creating one Synod, the Synod of the Methodist Church in Wales, making arrangements for the Cymru Circuit to continue as a Welsh-language Circuit within the Synod. (iv) to accept that if there are not at least 3-4 volunteers for the six groups by 31 December 2017, the review process will have come to an end. A vote was held on the proposal in the Policy Committee meeting in Ruthin on 16 November 2017. 18 people were present, with 16 voting. 9 voted in favour of Option 1 and 7 against. Recognising the closeness of the vote, it is important to understand the initial nature of the decision: the intention at present is to contact the officers of the Wales Synod and to ask for conversations to consider the possibilities, and nothing more. The Executive Committee will report back to the Policy Committee in its meeting in February 2018, and then to the Synod in April, whatever the outcome. In the meantime, the Synod Executive will be happy to receive comments and questions from members of Synod Cymru to feed into the conversation with representatives of the Wales Synod.